If you read College Info Geek, I assume that you’re not interested in remaining static. You want to progress and improve yourself. Self-improvement can take a lot of forms, including getting up earlier and beating procrastination. But one of the most powerful forms of self-improvement, in my experience, is learning new skills. Unfortunately, the process of learning new skills isn’t always clear. It’s easy to Google “learn yoga” or “learn to play the guitar”, but this sort of content can only take you so far. What you need is, and what I’d been searching for a long time, is an approach to keep you going once you get past the early stages of learning. I’m excited to report that I recently found such an approach, and I’m going to share it with you in today’s article. It’s called the Dreyfus model, and it lays out a framework for measuring your progress in any skill you can imagine. So whether you want to learn a new language, become a freelance writer, or just study more effectively, today’s post will get you on your way. In acquiring a skill by means of instruction and experience, the student normally passes through five developmental stages….We argue, based on analysis of careful descriptions of skill acquisition, that as the student becomes skilled, he depends less on abstract principles and more on concrete experience…. If you understand and apply this model, then you can create a plan for systematically learning any skill. To help you understand, let’s take a look at each developmental stage in more detail. If you’ve never studied the skill before and have no idea what you’re doing, then you’re a novice. Because you have know idea what you are doing, the best thing for you at this stage is a set of clear rules that you can follow regardless of context. As a writer, my favorite example of this is the classic five-paragraph essay. If you went to high school in the U.S., odds are you learned this formula. Your essay has an introduction with a three-part thesis statement, three “body” paragraphs expanding on each of those parts, and then a conclusion that summarizes what you’ve written. If you’ve never written an essay, this formula is a great place to start. It gives you a very clear framework that lets you experience what it’s like to write an essay without having to worry about things like structure or style. Of course, this model will only get you so far. An essay that you write with this formula is great for learning or even for submitting in a beginner’s writing class, but it’s not going to win any awards or land you a book deal. So once you’ve mastered the basics, it’s time to adapt your technique and move on to the advanced beginner stage. Once you’ve learned the basic rules of your skill, you’re probably an advanced beginner. At this stage, you start learning to apply these rules in new situations. Of course, you’ll make mistakes, applying the rules when it’s inappropriate. But you’re moving toward greater autonomy and learning how to draw on your (limited) experience. To continue with our writer example, as an advanced beginner writer you know the five-paragraph essay formula and some other basic principles such as “avoid passive voice” or “Don’t mix past and present tense.” You have some experience writing, and you can draw on this experience as you approach other kinds of writing projects. For example, you may try to apply the five-paragraph format to writing a research paper, but then quickly learn that those three body paragraphs are starting to get awful long as you try to stretch them out into a ten-page paper. You’re still not producing anything amazing or original, and you’re still relying heavily on rules and examples. But you’re on your way. The competent stage is where things start to get interesting. And frustrating. And even scary. This is the stage where you’re not just blindly following rules, but are getting a better grip on when and where to apply them. In fact, you start to encounter situations where the rules don’t apply, or where it’s unclear which rules you should use. You know so many rules at this point that you have to learn to ignore some of them and be selective about which ones to use, or else you risk getting paralyzed by indecision. As Dreyfus notes, this can lead to feelings of confusion and overwhelm. But when you make the correct decision for a situation, it can also lead to feelings of great satisfaction and excitement. This is what competency feels like, at its best. If you’re a competent writer, for example, you’ve studied a lot of the different forms and styles available. You know techniques such as “alliteration,” “simile,” and “repetition.” But you still struggle to apply them and, furthermore, realize that it’s impossible to apply them all in a given situation. You find yourself asking Would explaining it this way get my point across? Do I need more examples? Or fewer? You won’t always get it right, and you’ll end up with confused readers or lukewarm audience response. Sometimes, however, you’ll hit a home run and produce something you’re really proud of. Put another way, if you find yourself making lots of mistakes but gradually learning from them, then you’re probably at the competent stage. If you’re proficient at a skill, then you’re pretty damn good at it to say the least. At this stage, you know what do do in a given situation. You still have to consciously choose among several ways of doing it, but there’s little ambiguity about the right course of action. Back to the writing example, you may find yourself writing a sentence and realizing This doesn’t sound quite right. You don’t have to consciously articulate why it doesn’t sound right…it just, doesn’t. And you know that there are a couple ways you can fix it–make the sentence shorter, use a more specific word, or even delete the sentence entirely. Still, you have to make a conscious selection among these options. You may even try each of them in turn to see which works best. You’re not going to reach the proficient stage without lots of experience. No hack or tip can replace the hours of deliberate practice necessary to reach this point. The expert is someone who acts according to intuition. To the untrained eye, a proficient and expert person can look similar. The differences are subtle, and this subtlety is the key difference. “Thus, the ability to make more subtle and refined discriminations is what distinguishes the expert from the proficient performer,” Dreyfus concludes. If you’re an expert writer, you can recognize there is a problem with a sentence and immediately know how to fix it. In fact, if you’re at this level then you don’t even consciously express either what’s wrong or what you should do. You just say, This sounds wrong. I’ll write it this way instead. To the outside observer, the performance of the expert looks effortless and even magical. It’s not magic, of course–it’s the intuition that comes from years of focused experience. Okay, so now you know what the Dreyfus model is. But how can it help you as a student? 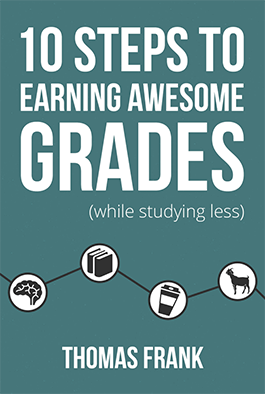 To help you learn more in your major. To create plans for learning outside of class. For your major and classes, it might seem at first that the Dreyfus model is unnecessary. After all, you already have tests and a curriculum to measure your progress as well as a professor who’s presumably a master. What more do you need? For one, viewing your courses this way is the entirely wrong approach. You can easily get perfect scores on all of the exams and come out of the class having learned nothing except the skill of test taking. To meaningfully learn from a class, you have to take an active approach to learning. View the curriculum, lectures, readings, labs, etc. as just raw ingredients for your learning journey. The best use of the Dreyfus model when it comes to classes is to ask yourself the following question: At what stage of the Dreyfus model am I in the skills relevant to my major? It sounds like a simple question, but the answer may surprise you. If your major involves a lot of writing, are you beyond an advanced beginner? Or are you just following the formulas that get you good grades? Do you intuitively understand calculus, or do you just know the steps necessary to solve a given equation? Of course, being at an advanced beginner or competent stage in these areas isn’t necessarily a bad thing. Reaching proficiency or expertise in any skill requires a large time commitment. Attaining it in every area relevant to your field is not only nearly impossible, but likely a waste of time. But if you decide that you’re not at the level you want to be, then you can start taking steps to increase your ability (or refine your existing methods). This is one of the most powerful aspects of the Dreyfus model: its ability to help you measure your skill level. While the Dreyfus model can help you assess your skill level in your major, it’s even more powerful when you use it to learn outside the classroom. At College Info Geek, we’re firm believers that getting a degree isn’t enough to get a job. You need relevant experience and skills as well. It’s possible that your major teaches you the skills you need, but it’s very likely it doesn’t. Or at least, doesn’t go quite far enough. For instance, as an English major I massively improved my writing skills, but I didn’t learn a thing about how to write blog posts, how to pitch clients, or how to build a website. All of those are essential skills for running my business, and I had to learn them on my own. For you, the relevant skills will likely differ. The fact remains, however, that learning skills outside your major makes you much more attractive to potential employers, especially if one of those skills is something unexpected. For example, if you major in history but also know how to code. If you’re looking for some skills worth learning, have a look at this breakdown of hard vs soft skills. Novice – When you’re a novice, the best thing to do is seek out rules and straightforward tutorials. You need a safe environment in which you can get your head around the fundamentals. A great book or video on the subject is perfect for this stage, as are “Beginner’s Guide” articles. Advanced Beginner – At this point, you want to start experimenting with the rules in different contexts. See what works and what doesn’t. Find areas where you need additional rules and continue to learn the basics. Competent – Now you need to start deciding when to apply specific rules. In this stage, you should focus on making lots of mistakes in an environment that provides immediate feedback. Prepare yourself for frustration and the desire to give up. If you haven’t already, this is where working with a skilled mentor or teacher can really be valuable, as the examples in books and courses probably will probably be too general and formulaic to be helpful. Proficient – This is where you need to make an important decision. Progressing beyond competent means investing lots of time. If you’re comfortable with that, then proceed. But also recognize that it’s fine to remain competent if that’s all you need. Getting to proficiency means leaning more on intuition. Again, a teacher can be a huge help here, especially in making sure that your practice is directed appropriately. Expert – Getting to this point is a question of extensive experience, of putting in many hours of focused practice. I can’t say much about this stage, to be honest, as I don’t think I’m a master in any of my chosen career skills. I’m on the path, but I haven’t arrived. It’s called the Dreyfus “model” for a reason. It’s just a way to visualize the learning process. It’s not the final word on the subject, and it’s not perfect. Stay humble. No matter what level you reach, don’t overestimate your ability. There’s always more to learn. Expert ≠ good teacher. Experts can be great teachers, but teaching is its own skill that requires development just like any other. Furthermore, sometimes experts can be terrible teachers because their performance is so intuitive. They can’t explain why–it just is. Learning any new skill is a long, difficult, but ultimately rewarding journey. Understanding the Dreyfus model gives you a powerful tool for systematically progressing through any skill you want to learn. When you combine it with techniques such as deliberate practice and SMART goals, you’ll become an unstoppable learning machine! How will you use the Dreyfus model in your learning endeavors? Share your plan in the comments section below, or post about it in the College Info Geek Community.